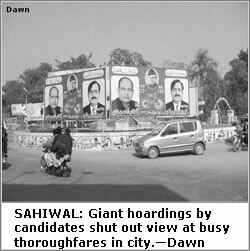 SAHIWAL, Feb 1: A European Union (EU) delegation has heard a parade of election-related complaints from candidates for the Feb 18 elections and rights activists allegedly being committed by government and local body officials to favour Pakistan Muslim League-Q (PML-Q) candidates in the district. 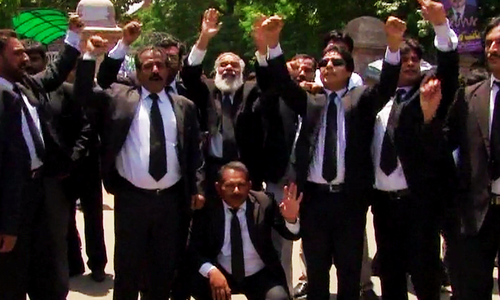 PML-Q candidates avoided meeting the foreign observers citing their election engagements. The delegation arrived here on Jan 29 and met different candidates and government officials. “Umer Ishaq, Sahiwal tehsil nazim, is openly supporting his Arain Biradri candidate Chaudhry Ashraf in NA-161 by organising corner meetings for him,” Alamdar Hussain, a human rights activist says he told the delegation. Pakistan Muslim League-Nawaz (PML-N) candidate for NA-160 Syed Imran Ahmed Shah told the visitors PML-Q candidate Noraiz Shakoor, also former petroleum minister, was using the ministry’s resources on his disposal. A few days ago, the former minister inaugurated a gas supply project in Bilal Colony, he alleged. He said the similar project was launched in Awan Town on the direction of Mr Shakoor. 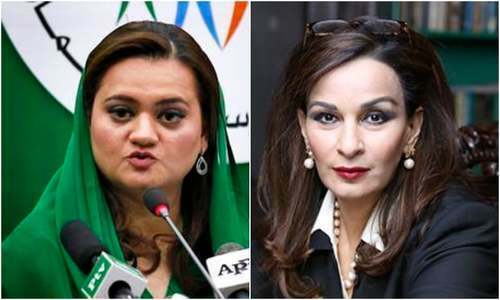 Pakistan People’s Party (PPP) hopeful Zaka Chaudhry alleged that funds from the Self Support Programme were being used to “buy” loyalties of the voters. He said that 1,500 cheques worth Rs1,600 bearing the signature of former chief minister Pervaiz Elahi were being distributed to the residents of Jahaz Ground and Ghala Mandi because these slums were the PPP strongholds. He said only money was not being used to influence voters. “The son of PPP activist Hanif Malang, of Jahaz Ground, was sacked from his Utility Stores Corporation job when Malang refused to change his loyalty,” said Amjad Hussain Bokhari, candidate for PP-222. PPP candidate for NA-160 Anwarul Haque Ramay said that sewerage pipelines were being laid in 94/6-R, 92/6-R, and 90/9-L villages and the repairing of roads was on in Asadullah Wala on the direction of the district nazim. PPP District General Secretary Imran Jan says the delegates were surprised to know that the local Election Commission office had no mechanism to respond the candidates’ complaints. Up to 48 EU delegates are in Pakistan on an ‘Election Observer Mission’ for the Feb 18 elections. Fifty short-term observers will arrive in Pakistan in next 10 days.